Pte WE Tanner Royal Wilts Yeomanry. 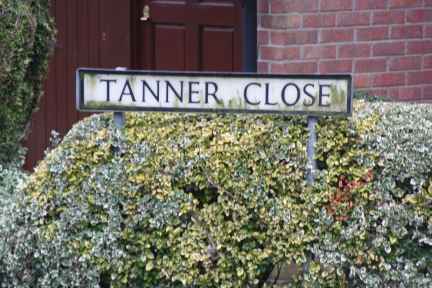 Pte Frank (Frederick) Tanner of the Wiltshire’s was the eldest son of Mr and Mrs J Tanner, 10, The Gardens, Ladds Lane Chippenham. He was posted as wounded and missing last October and is now officially reported as killed in action at the Battle of the Somme. The parents having been notified to that effect by the War Office. Pte Tanner was one of the 5 sons of Mr and Mrs Tanner who have joined the forces. Two are in France, one in Egypt and one in India. Frank who was married and was 28 years of age was living in South Africa when war broke out and joined the Colours 2 days after it’s declaration. He was sent from Africa to France, where he went through all the heavy engagements in which his regiment took part during the first 2 years of the war. His widow is still in South Africa. In loving memory of our dear son L/Cpl Frank Tanner, Wiltshire Regiment, who was killed in action at the battle of the Somme October 18th 1916. For we have lost a dear son. Reposes at his Saviours breast. Deeply mourned by his Mother, Father, Brothers and Sisters. 10 The Gardens, Ladd’s Lane, Chippenham.